Prefer AU and Manual but will consider other configurations in Congo or Green. Good luck, in the 4 years I’ve been looking I’ve only come across the one I bought and recently sold. I can own up to having 1 manual Congo sedan in storage.. 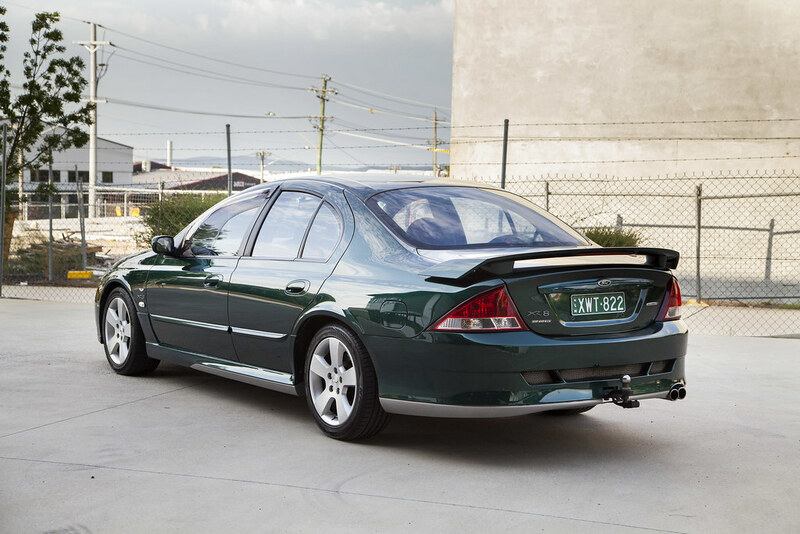 I have only ever seen one congo XR8 sedan in the flesh. It's manual, fully optioned and in excellent nick. There's a bit of a story to it but all i can say is they must be very rare and unique. Either way, doubt the owner would want to part ways with it, ever. Gee, i knew they were rare but didnt know that they were that rare, i have stumbled across half a dozen in my time for sale and in person but wasn't ready to get one at the time. Here is hoping by putting this out there something might come up, sedan or ute if not ill have to re evaluate. 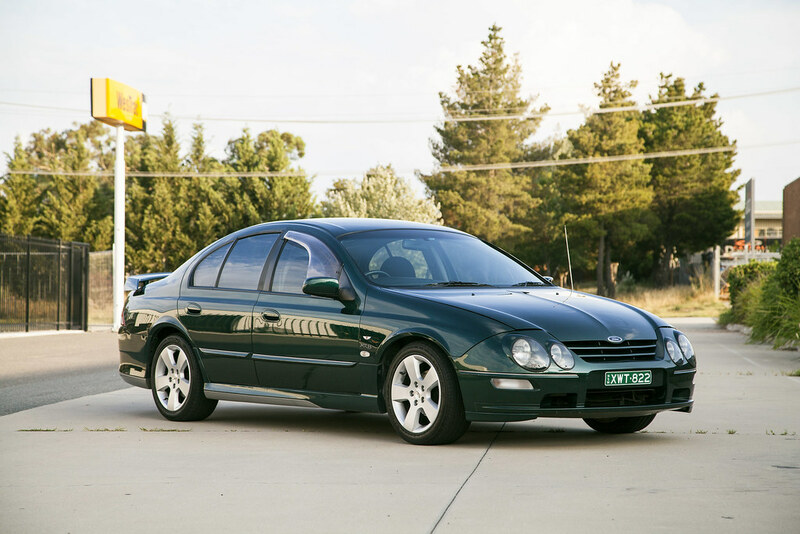 My mate just bought a series 3 manual Congo green XR8. No options other than series three body kit. 120,000km. It was on gumtree for about 15 minutes. Where is the info from that there was only three manuals made? It was on the build sheet from the one i had so it could be wrong (from ford). I had an auto. How much did your mate pay? I’ll let him know the numbers, he’ll be chuffed at it’s rarity. Regarding price, coming from western NSW, it needs a coat of paint and has a bit of body damage, but less than half what you paid for your Congo. It’s being painted at the moment. Surprised people let cars get that way with just 120k on them Good to hear your mate is bringing it back, would have been easy to just part it out and make money that way. I ended up selling Congo for $8600, had messages saying sell it for more but after the work we put into it and the kms it had i was happy with the price. How it was found. Hopefully link works. Scema74, you’ve done pretty well, managing to locate 2 of the 3 manual Congo green XR8’s in your first day looking. Unfortunately I’m guessing neither of the owners will be likely to sell anytime soon. You might have better luck with the third one that may hopefully still exist. Would be a few series 2's out there as well im guessing. Spotted a Congo XR8 on the M1 just north of Raymond Terrace about 2 weeks ago. Yes, they really stand out if you are lucky enough to see one. Cheers and happy hunting. Who cares, it’s your car why would you care what others think? I love owning the ugly duckling that no one likes. Guys, I know we don't strictly enforce the 'no general chit chat' rule in this section of the Sales yard, but could you try not to totally hijack scema74's thread please. Toy 3 - 1997 EL GT in Sparkling Burgundy, auto and sunroof. Driven, Not hidden!! Fords build numbers are to be taken with a grain of salt. Their letters contain far too many errors to be taken seriously. Ford even says that on the bottom of each letter.